Knowing when and how to let go when something, or someone, isn't working—a personal relationship, a job, or a business venture—is essential for happiness and success. 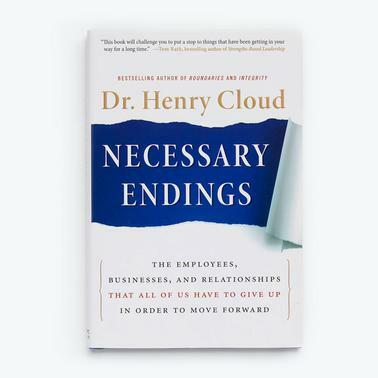 Dave Ramsey says, "If you're hesitant to pull the trigger when things obviously aren't working out, Henry Cloud's Necessary Endings may be the most important book you read all year." Know when to have realistic hope and when to execute a necessary ending in a business, or with an individual. Identify which employees, projects, activities, and relationships are worth nurturing and which are not. Overcome people's resistance to change and create change that works. Create urgency and an action plan for what's important. Stop wasting resources needed for the things that really matter. Knowing when and how to let go when something, or someone, isn't working—a personal relationship, a job, or a business venture—is essential for happiness and success. Necessary Endings gives readers the tools they need to say good-bye and move on.